What did the trick? Pathways. 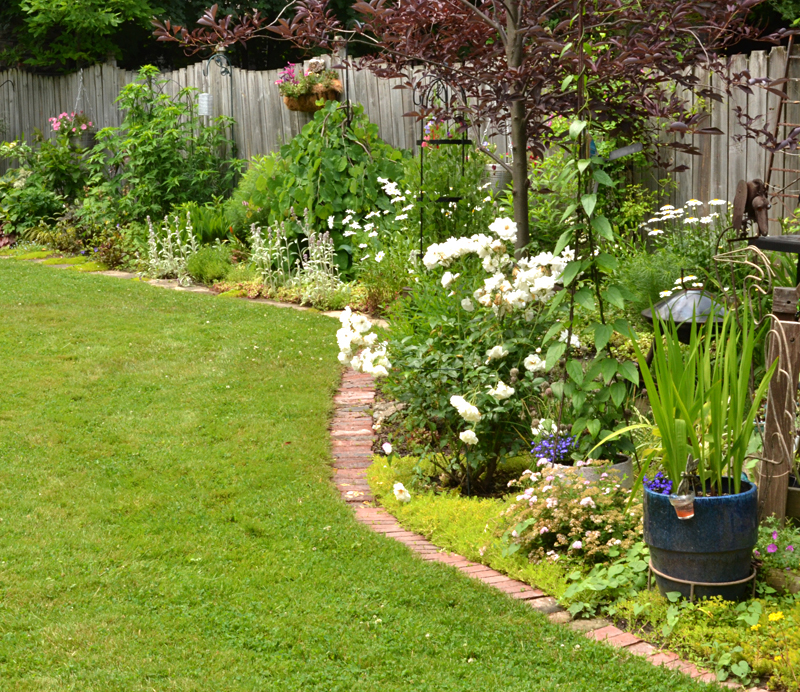 I visited the gardens of Elaine and her husband Don during the Parkside Garden Tour on June 29 and learned so much. You might have missed their garden because it was on the periphery of the map and had only one other garden nearby. 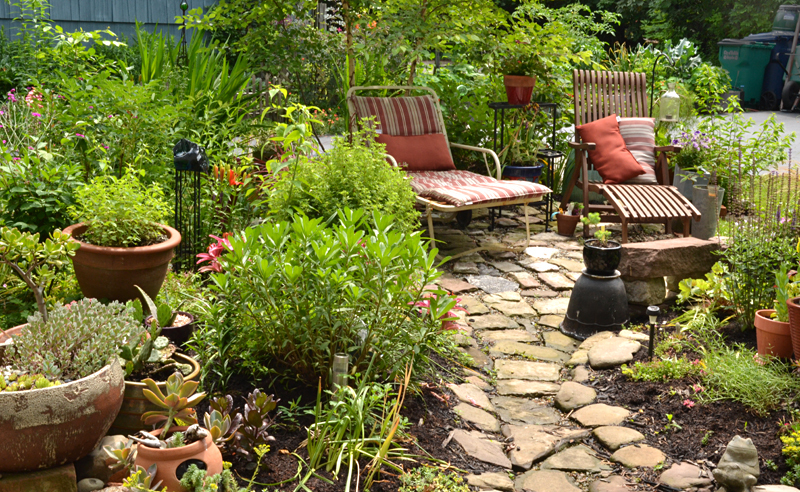 Tip: When you go on garden walks, don’t just visit the gardens that are all clustered together. You can see some spectacular gardens when you take the time to stop at the outliers. If you overlooked this garden, you’re in luck. 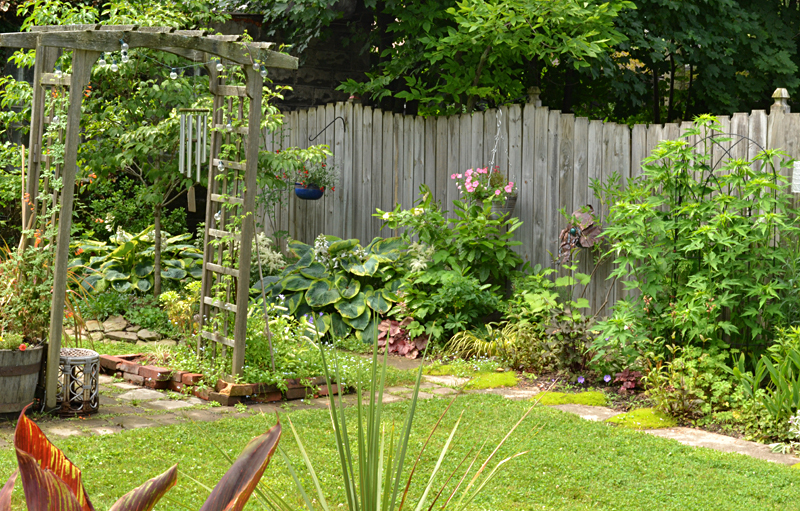 You can also see this garden on Open Gardens from 2 to 6 p.m. Thursdays through July 31. The paths become patio areas. You can see one of the two backyard seating areas in the photo below. The Clutterbucks bought the cobblestones at a garage sale; the stones had been part of a street in Buffalo. They scavenged the flagstones for another seating area. Elaine has even found rocks that people have set out for the trash. The bricks were purchased from Buffalo Reuse. “Our biggest investment is in vegetation, not structures,” Elaine said. 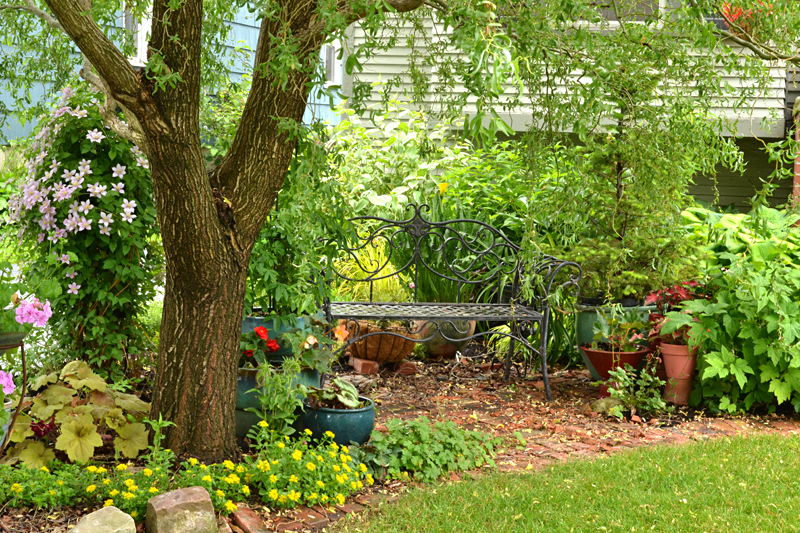 Lush gardens– and seating areas– can be found in front as well. The seating area below is under a corkscrew willow in front of the house. Isn’t it a great place to relax? 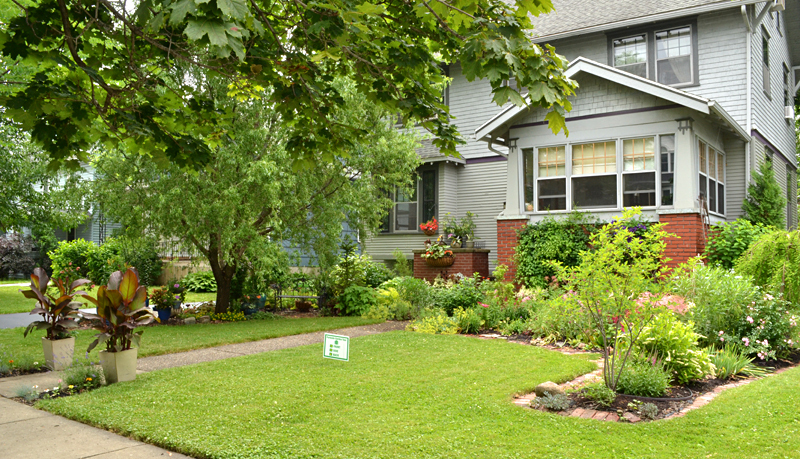 Most people wouldn’t think to construct an area like this in the front yard, but who says you can’t? The Clutterbucks plan to continue extending the front garden beds bit by bit until they curve around and meet the small planting at the center sidewalk., which you can see below. Now here’s the tip that will save you a lot of digging when you want to convert a patch of grass into a garden bed. 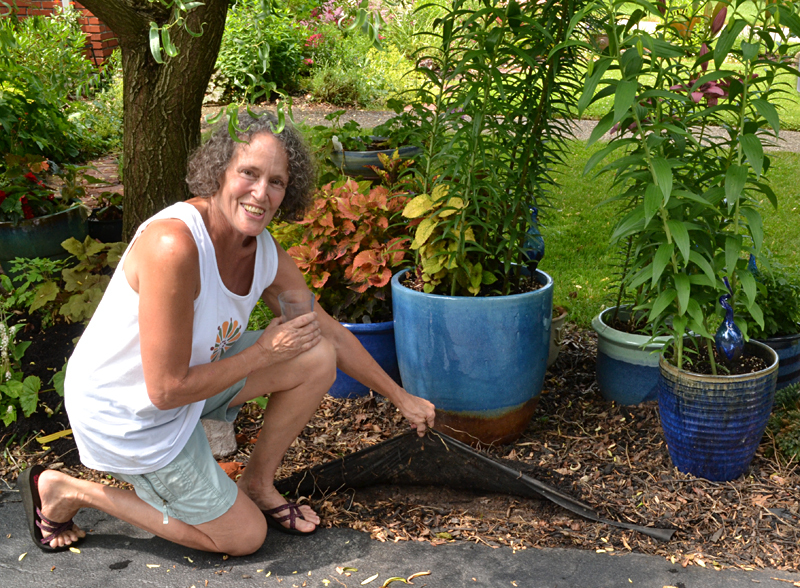 Rather than spend a lot of time and energy digging up grass and weeds, here’s how Elaine creates new sections of garden beds. First, set down several layers of newspaper. Then cover the newspaper with black fabric cloth. Finally, cover it all with mulch to make it look nice. Next choose the perennials that you want eventually to plant in that bed. Plant the perennials in large decorative containers and place the pots on the mulch. You’ll have flowers during the summer. In the autumn, grass and weeds will be dead and your garden bed will be ready. Go ahead and plant the perennials from the pots. Autumn is a great time to plant perennials. You can get a sneak peek at the garden bed in progress below. The Parkside Garden Tour also featured a guided architecture and history walking tour. 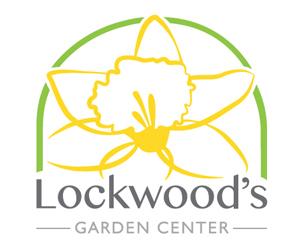 All proceeds from the garden walk and architecture tour help support programming of the Parkside Community Association, a non profit organization. 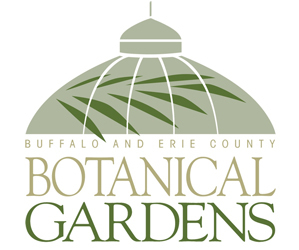 The Darwin Martin House conservatory was also open for tours and the National Garden Festival held its third annual Buffalo-Style Garden Art Sale in Delaware Park. Trudy, I have posted the event on our Events page. It was nice seeing you, too.